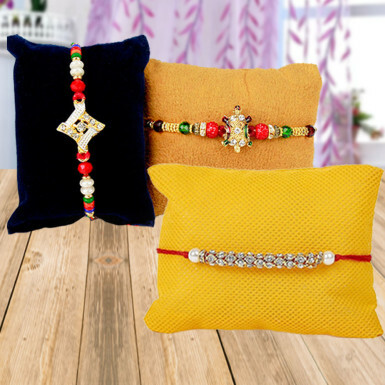 This Raksha Bandhan, add more warmth and love in your sibling bond by ordering and sending this wonderful rakhi set for your three brothers. These rakhis will act as a protective shield for your brothers. So, don’t wait and place your order for this fantastic rakhi set.